After being named the Highest Ranked Light-Duty Full-Size Pickup in Initial Quality by J.D. Power and Associates (2005) and building on a total redesign for 2004, the 2006 Ford F-150 continued the tradition of power, ruggedness, and durability that bred the slogan "Built Ford Tough". With the strongest frame in the pickup segment and best-in-class payload and towing, the 2006 Ford F-150 could be considered a workhorse. As the flagship of the Ford fleet, it has also been called refined and safe. This was a truck that looked and felt like Saturday night but worked like Monday morning. It was also the only pickup truck (at the time) to earn the National Highway Traffic Safety Administration (NHTSA) 5-Star frontal (driver and passenger) crash test rating and the Insurance Institute for Highway Safety (IIHS) Best Frontal Collision award. The fully boxed frame, class-exclusive cast-aluminum front lower control arms, outboard-mounted rear shocks, and cab-insulating body mounts all combine to yield a hard working pickup that worked like a truck but drove more like a sports car. If you were looking for a workhorse of a truck that could tow and haul better than any other pickup in the class, the 2006 Ford-F150 was the only choice for you. With a properly equipped chassis, it could tow 5,700-pounds and haul another 1,920-pounds with the 4.2-liter V6 engine. With the 4.6-liter Triton V8 it was capable of hauling 1,970-pounds and towing 7,200-pounds (nearing peak torque at only 1,500 RPM). you could maximize towing (9,900-pounds) and payload (3,060-pounds) with the 5.4-liter 3-valve V8 Triton engine. No matter the engine choice, all were smooth and quiet. Inside and out - this truck was a work of art. 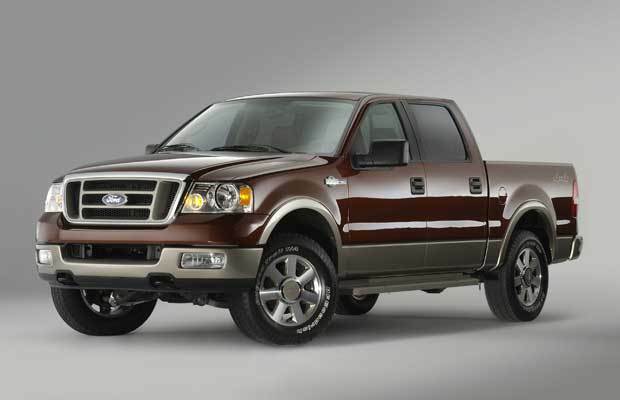 When it came to the 2006 Ford F-150, informed consumers had their choice between the entry-level XL trim package, the sporty SXT, the athletic XLT, the off-road focused FX4, the top-tier Lariat, or the luxurious King Ranch. All trim levels (except King Ranch) were available on Regular cab, SuperCab, and SuperCrew models. Bed choices included Styleside and Flareside in 6.5-foot and 8-foot lengths (Regular Cab and SuperCab) and a 5.5-foot bed for the SuperCrew model. 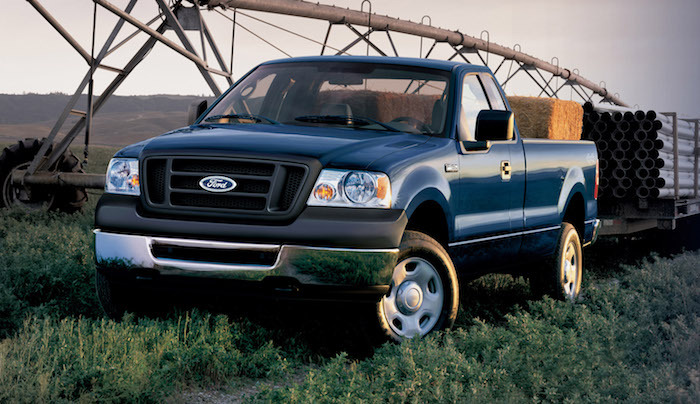 All 2006 Ford F-150 models were available with 2WD or 4WD. So, how do you improve upon a truck that has been the best selling vehicle in North America for the past 28-years (at the time)? Try making it easier to customize by offering a massive set of 20-inch machined-aluminum wheels, an optional chrome package, a bigger available cargo box for SuperCrew models, and factory-installed SIRIUS Satellite radio. All new for the 2006 Ford F-150 were a set of 20-inch 6-spoke machined aluminum wheels for the FX4, Lariat, and King Ranch. Giving your truck a custom appearance, these wheels were the perfect addition to a set of 20-inch outline white-letter all-terrain tires. Brand new Chrome Packages went a step further in the customization process; bathing your pickup in the shiny stuff. Included was a set of 5-inch chrome tubular step bars, 18-inch chrome-aluminum wheels, chrome exhaust tips, chrome grille surround, chrome exterior mirror caps, plus chrome exterior door and tailgate handles. There was also a color matched leather wrapped steering wheel (XLT and above). Previously the SuperCrew had been available only with the 5.5-foot bed (Styleside and Flareside) but the 2006 Ford F-150 now added a 6.5-foot bed (Styleside and Flareside) to this popular cab configuration. It featured Tailgate Assist and tie-downs for added convenience and style. The addition of factory-installed SIRIUS Satellite radio to the 2006 Ford F-150 lineup brought more than 120-channels of programming, including 65-channels of commercial free music. Combining two of my greatest loves (my pickup and my Harley-Davidson), the 2006 Ford F-150 also made a Harley-Davidson inspired version available. The SuperCab model cab was loaded with styling cues taken straight out of Milwaukee. It featured an all-wheel drivetrain, 22-inch polished forged aluminum wheels, chrome billet grille, captain's chairs trimmed in aniline black leather with Harley-Davidson logos, and a high gloss flow-through center console, among other things. Harley-Davidson badging and emblems were affixed throughout the interior and on the exterior as well. Highlights for the 2006 Ford F-150 included the addition of the Harley- Davidson Package, SIRIUS Satellite radio, and some larger wheel and tire choices. 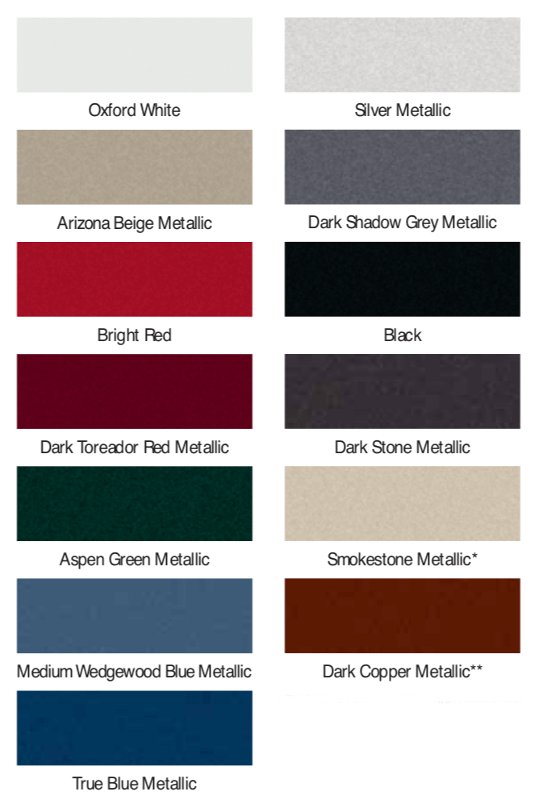 Interior color choices were Tan, Medium Flint, Dark Flint, Two-Tone of those two Flint colors, Black, and finally Black & Medium Flint (only on FX4). Medium Flint was the only interior color available for STX trucks.